Matthew Collings is a Solicitor in Burnetts’ Corporate team, based at the firm’s Carlisle Office. Originally from County Durham, Matthew graduated from Northumbria University in 2014 with a first-class Masters in Law degree. Matthew advises clients on a number of issues ranging from shareholder and partnership agreements to company sales and acquisitions. He supports a wide range of businesses from sole-trader start-ups to family partnerships and established Cumbrian businesses. 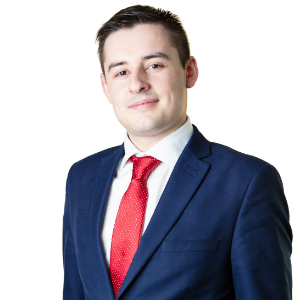 Matthew qualified as a solicitor in 2018. Prior to beginning his training as a solicitor, he worked in paralegal roles in the North East. Outside of work, Matthew stays active and enjoys hiking, football and motorsport. He is also a qualified Ocean Diver and a member of the British Sub-Aqua Club.